Mattifying Fluid is an oil-free solution that helps to hydrate skin as it balances oil production. This soothing gel-like formula is paraben free and leaves skin soft and refreshed. Glutamic Acid helps regulate excess sebum production. Proven to immediately reduce oil on the skin. Soothes and softens with Avene Thermal Spring Water. Apply morning and/or evening following cleansing with the Cleansing Foam. 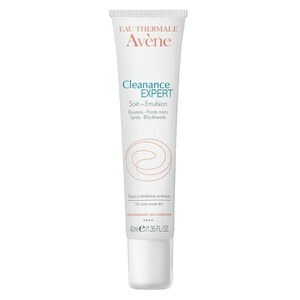 Avene Thermal Spring Water (Avene Aqua), Butylene Glycol, Isohexadecane, Glycerin, Polymethyl Methacrylate, Water (Aqua), Acrylates/Acrylamide Copolymer, Ammonium Glycyrrhizate, Cetrimonium Bromide, Fragrance (Parfum), Glutamic Acid, Mineral Oil (Paraffinum Liquidum), Phenoxyethenol, Polysorbate 85.